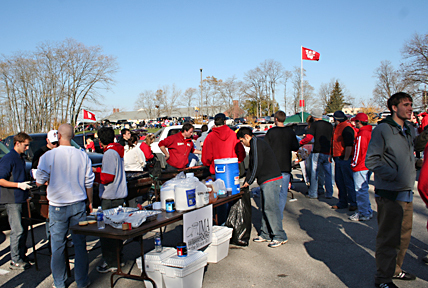 The Indianapolis Association of Wabash Men (IAWM) is sponsoring a tailgate before the Wabash-Franklin College football game on Saturday, September 9, 2006. Come out and join the Wabash community in cheering the 20th-ranked Little Giants on to victory. For tailgate details, click here.